Product information "INGLORIOUS - Inglorious II - CD Jewelcase"
INGLORIOUS are part of Frontiers’ New Breed family. The New Breed family is the label’s stable of young, exciting, up and coming bands who will be the future of hard rock and metal. The label is focused on finding and developing new bands that will show the world that rock is indeed far from dead. Inglorious are five young men with a mutual love and respect of the classics of Hard Rock music, big guitar riffs, and soulful vocals. Their influences stem from iconic rock and roll shrine of Rock albums from the 1970s – many years before the band members were born. The same albums that have inspired generations of musicians and performers are noticeably evident when you listen to the Inglorious debut album. This is the music they were born to play together - inspired by bands in the classic rock genre as diverse as Deep Purple, Led Zeppelin, Whitesnake, Bad Company, Aerosmith, the Rolling Stones, to name a few. Formed in February 2014, the band is fronted by Nathan James, who made a name for himself having sung for the multi-platinum selling Trans-Siberian Orchestra, and Scorpions guitar legend Uli Jon Roth. Nathan was looking for like-minded musicians that desired to make incredible rock music in a very honest fashion. Nathan thought to himself, “Why are those classic albums so awesome?” He realised it was because “the musicians were recording in an organic way; they could track it live and capture amazing energy." “Not only in rock but in Motown and even classical music they tracked everyone in the room at the same time,” adds Nathan. “The air movement from a bass drum, that same excitement you get when you perform, and that's exactly how I wanted the album to feel." Nathan wanted all his fellow musicians in the room at the same time, no click tracks, no auto tune and no overdubs. He wasn't willing to compromise. Says Nathan - "For so long people have been hiding mistakes, singers using auto tune to make them sound perfect, double tracking to make it sound bigger and using click to play in time. There is none of that on this album. This record is about vibe, feeling, excitement, energy and performance of songs we all wrote together. That's how it came out that day and it will never be exactly the same again. We captured a series of moments that make up our debut album." Inglorious is composed of lead guitarist Andreas Eriksson, bassist Colin Parkinson, rhythm guitarist Wil Taylor, and drummer Phil Beaver. Colin and Phil both hail from Somerset, and have played together in bands for 17 years (at one point, both were signed to Mick Fleetwood’s label while Phil was still at school). Phil's Bonham-like groove, great snare work and exciting fills, combined with Wil's solid bluesy rhythm playing and Colin's fat, gritty bass sound, make for a formidable rhythm section. Andreas was the final piece of the puzzle - a lead guitar player that shared all the same influences, could command a stage and was able to track the whole album the way Nathan wanted. Guitarist Andreas Eriksson played in bands from his home country of Sweden for many years, and has taken influences from all the greats, making him one of the most musically well rounded guitar players in the contemporary rock scene. His bluesy, melodic, soulful playing compliments Nathan’s soaring vocals. 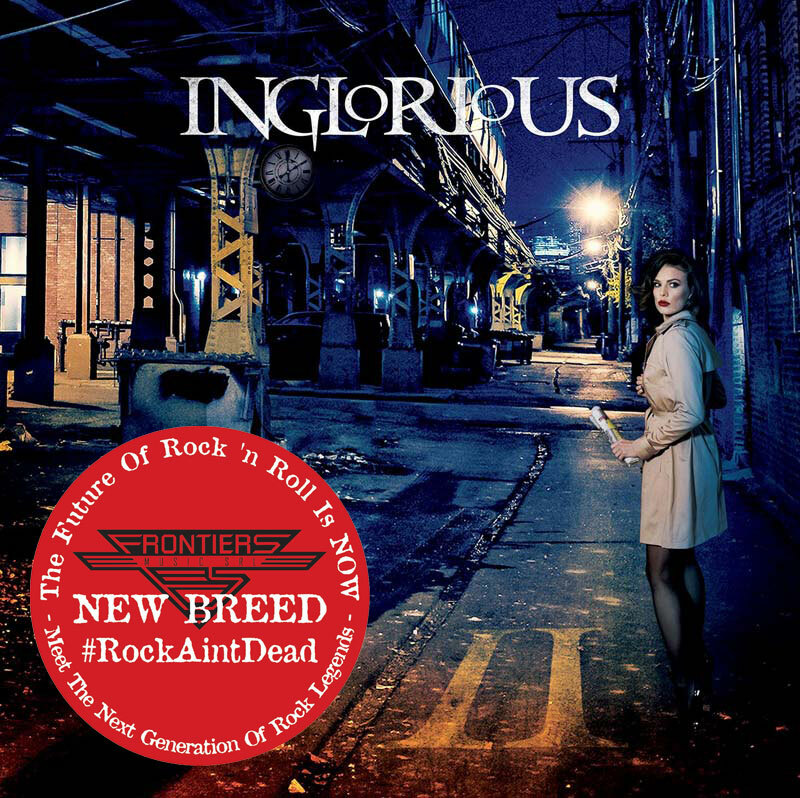 The second album titled Inglorious II was recorded in one go at Parr Street Studios Liverpool, a more comfortable setting this time as accomodation was provided, no more sleeping on the studio floors, things are looking up in the world. And as mentioned, mixed by Kevin Shirley at his Caveman Studios. The band wrote the whole album with no guest writers this time, they said “It came together very organically after spending time touring together and felt great. We knew we were making an album this time too! We focused on getting our sounds just right so we could get into the studio and out in the least time poss. Between Adde's flat in Malmö, Sweden and Colin’s family home in Somerset, England, this album came together quickly. We spent three weekends in Somerset, writing in a kind of 9-5 fashion, whereby we knew we were at work. Then after a lovely home cooked dinner we would relax, have a few beers and balance out our hard work, the environment is so important to be creative and we had it good! The first album was produced well by the band, that they decided to produce this one themselves too. These boys are becoming a force to be reckoned with. 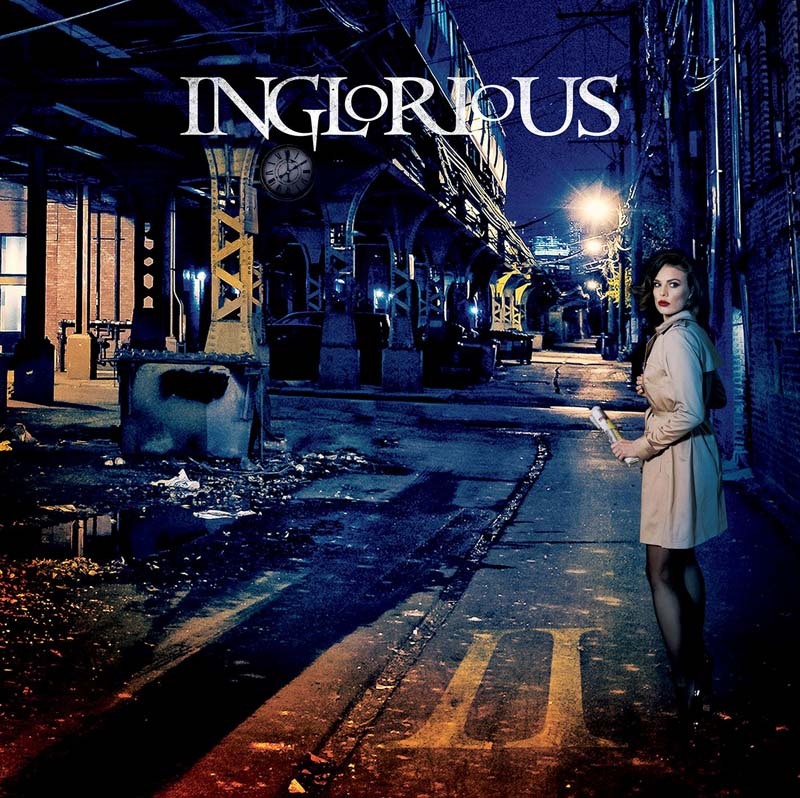 Related links to "INGLORIOUS - Inglorious II - CD Jewelcase"
Customer evaluation for "INGLORIOUS - Inglorious II - CD Jewelcase"